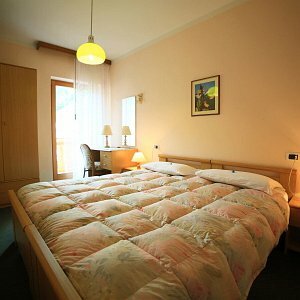 A holiday at the foot of Mount Marmolada and total relaxation for the guests of Hotel La Montanara. 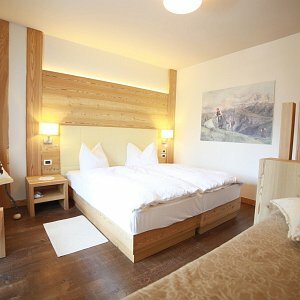 Complete rest is the order of the day for a holiday in the Dolomites where absolute peace reigns supreme. 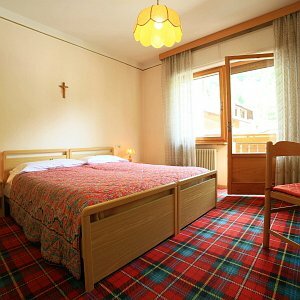 There is something very special about each of our rooms to further enhance your break at the foot of Mount Marmolada. Here in the bosom of Mother Nature your yearning for peace and quiet will be granted on a holiday that becomes a delight for all the senses: kissed by the early morning sun, watching the wildlife scampering at the woodland edge, marvelling at sunset over Mount Marmolada. 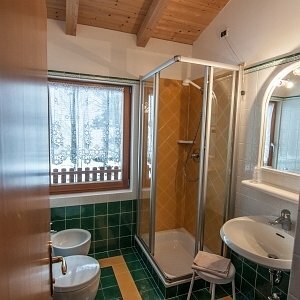 Or would you prefer a cosy loft room, want to watch village life go by from your balcony over the main square, or just listen to the murmuring of the clear waters of the mountain stream? It’s all possible. 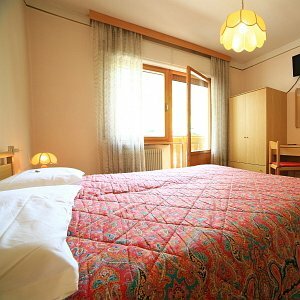 All rooms have Wi-Fi, sat TV, telephone, hairdryer, safe and shower. Savour the warm aroma of the purest natural wood, all locally sourced. Breathe in the life-giving fragrance of the woods and trace the unique veining of the solid wood panelling in Swiss pine, Norway spruce or larch. Tea-making facilities also provided. Experience a moment of incomparable joy as, from your balcony, you gaze at a stunning sunrise or sunset over the Queen of the Dolomites and the magnificent mountains that surround her. Let the soothing song of the mountain stream lull you into a deep reinvigorating sleep, from which you awake, totally refreshed, in the stillness of Nature. For all those who love the freedom of the outdoor life but without sacrificing the chance to relax. A mountain holiday is the perfect physical and mental tonic. 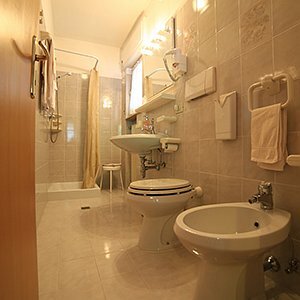 The facilities listed below are provided free and designed to make your stay in Sottoguda even more enjoyable.